2000 Nitro NX 750 SC Ready to go! 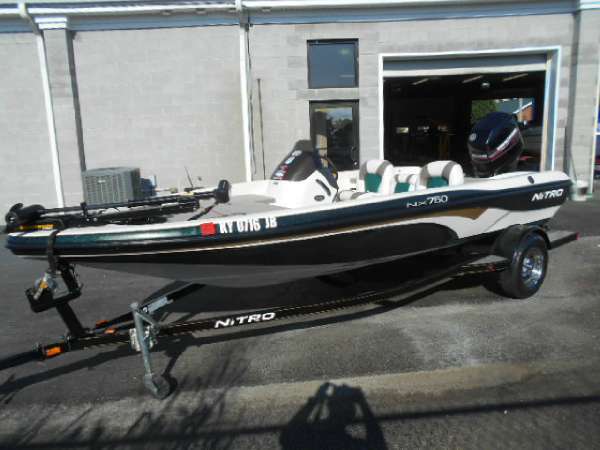 2003 Nitro NX 750 This 2003 Nitro is ready for any fishing trip day or night. 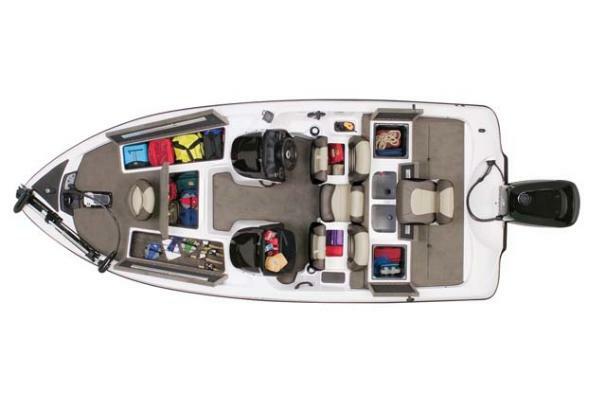 With there smooth hull design and all the storage you will need for all of your gear and more. 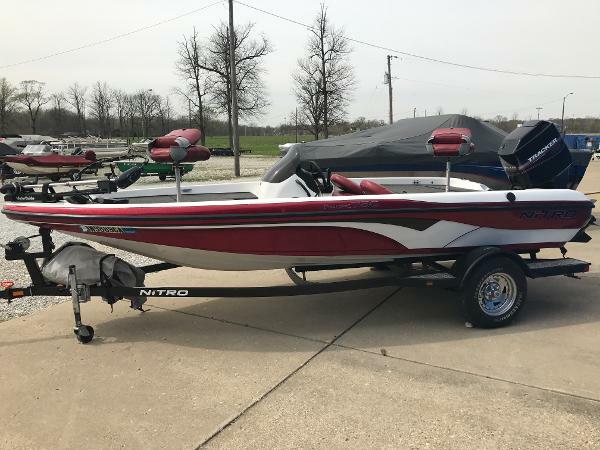 Rigged with a Tracker (mercury marine) 125hp outboard motor , Its all the power you'll need to get to your favorite fishing spot in not time at all. Also for areas where quick and quiet maneuverability are needed there is a Motorguide (Machete 2) electric trolling motor mounted on the bow. 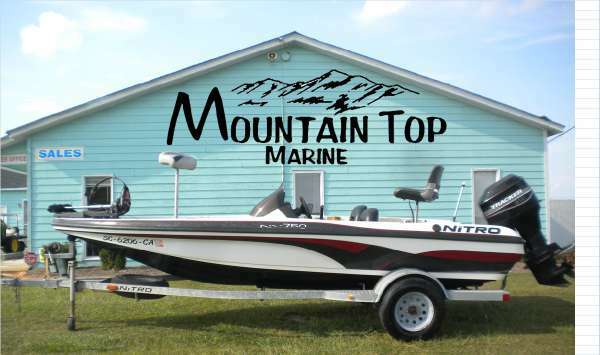 With 5 deep storage compartments you'll have no problem carrying aboard all your needed fishing gear. 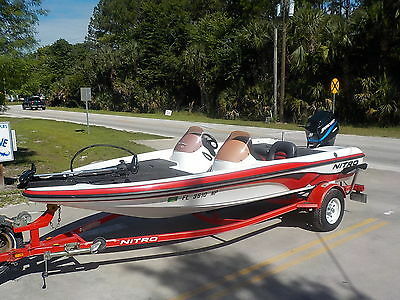 A Hummingbird xp2000 Fishfinder plus an additional Eagle Cuda168 Fishfinder are also equipped on this boat. 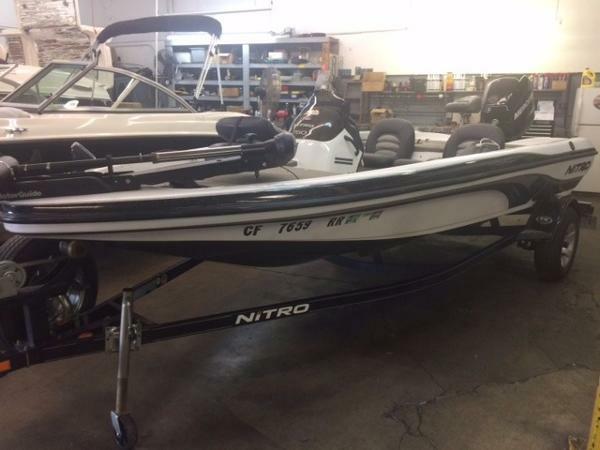 Single axel Nitro road trailer with spare tire and carrier also with this boat. 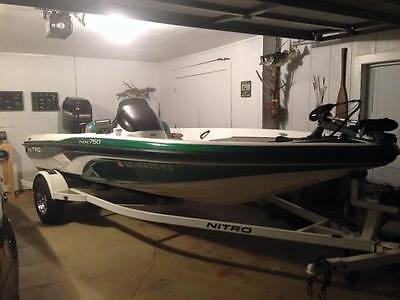 2008 Nitro NX 750 SC **LOTS OF UPGRADES** MOTORGUIDE 24V 70LB TM, 3 BANK CHARGER, BOAT COVER, SPARE TIRE, ROD LOCKER, 2 LOWRANCE ELITE 7'S The NITRO 750 single console. Measuring a compact 17'6", it’s “mighty” in standard features and value. It can get to places that larger boats just can’t, yet features an amazingly wide and stable 86" beam. 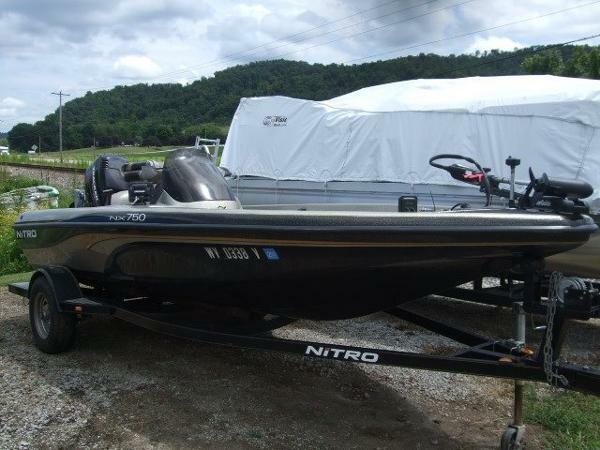 Its striking two-color paint scheme is unmistakably NITRO and so are its fishing features! 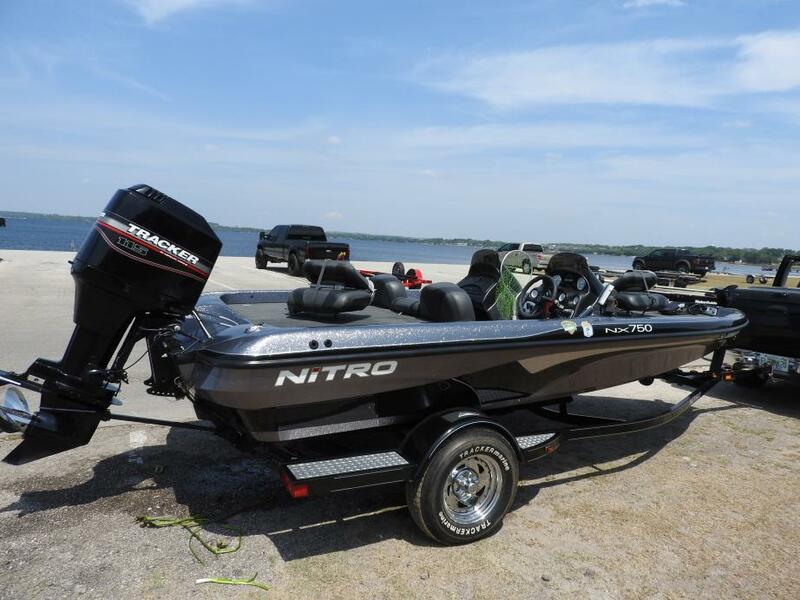 The standard NITRO 750 package features a Mercury 90 Optimax outboard, three-across seating, plenty of storage (bow, aft, and underseat), 12-volt MotorGuide foot-controlled trolling motor, Lowrance X37fish finder and aft 28-gallon aerated divided livewell with timer, recirculation and pump-out. 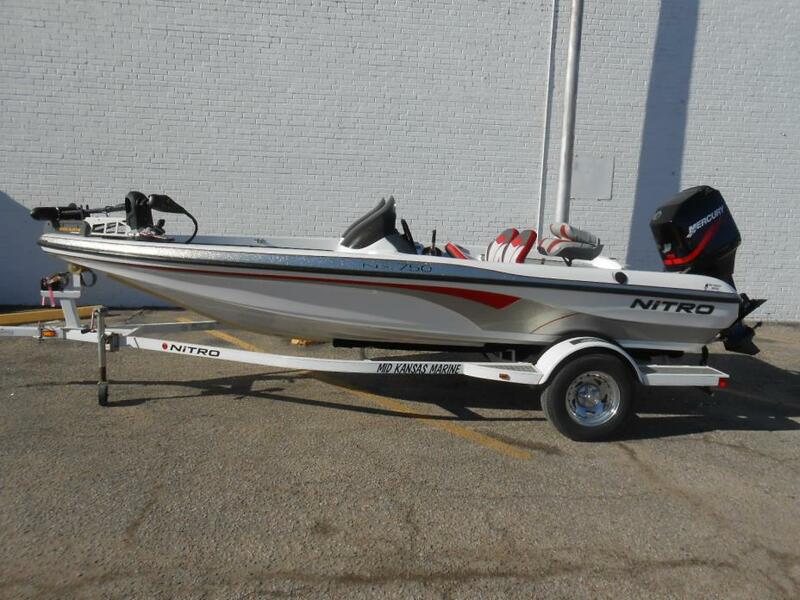 Every NITRO 750 package includes our NITRO color-coordinated trailer with GalvaShield frame protection and EZ lube hubs. 2006 Nitro NX 750 SC The NITRO 750 single console. Measuring a compact 17'6", it?s ?mighty? in standard features and value. 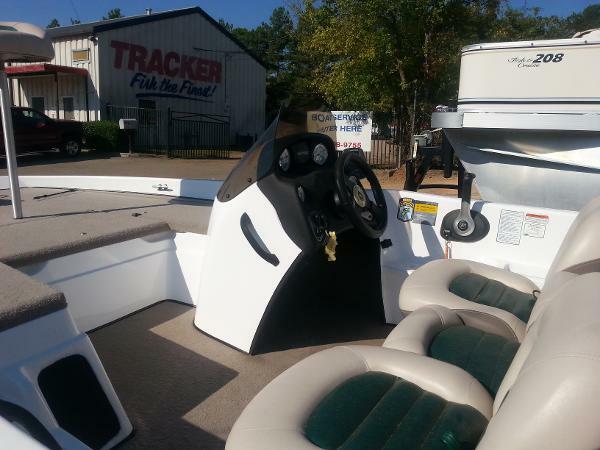 It can get to places that larger boats just can?t, yet features an amazingly wide and stable 86" beam. 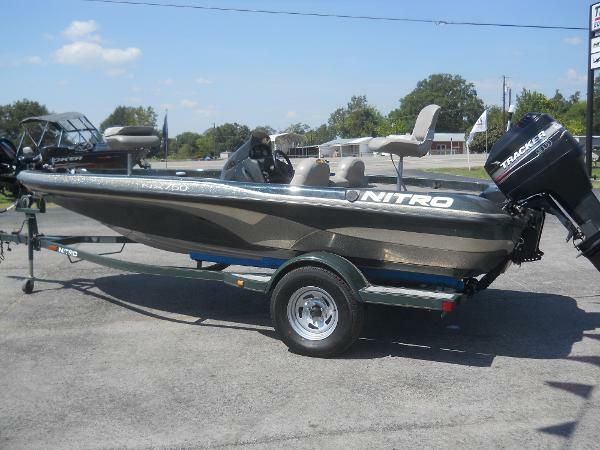 Its striking two-color paint scheme is unmistakably NITRO and so are its fishing features! 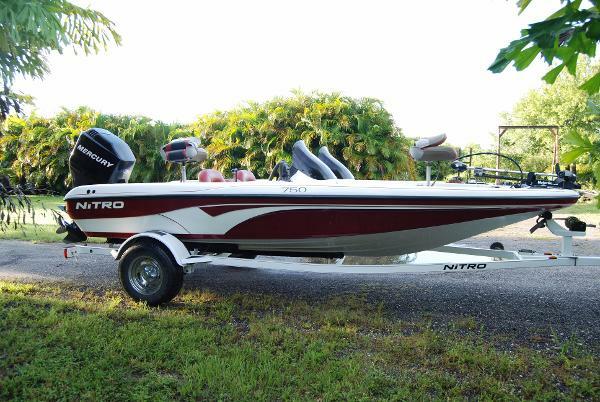 The standard NITRO 750 package features a Mercury 90 Optimax outboard, three-across seating, plenty of storage (bow, aft, and underseat), 12-volt MotorGuide foot-controlled trolling motor,Hummingbird 999si, aft 28-gallon aerated divided livewell with timer, recirculation and pump-out. 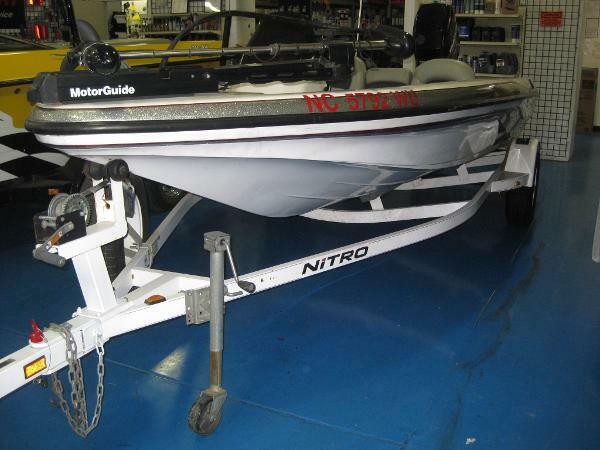 Every NITRO 750 package includes our NITRO color-coordinated trailer with GalvaShield frame protection and EZ lube hubs.